Qatar Airways, facing an air space embargo by its Middle East neighbours since June this year, chartered in extra freighters and increased its own maindeck capacity on key trade lanes to maintain urgently needed food supplies and traditional cargo flows. Despite a 160% rise in cargo volumes at its Doha home hub in June, the carrier’s cargo operation still managed to restock Qatari supermarket shelves with “ample supplies of fresh produce overnight”. 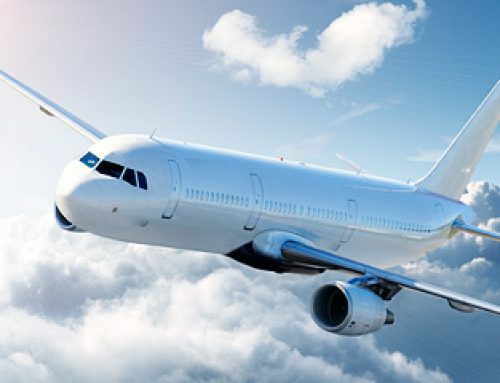 But Qatar Airways reports that the “blockade” has seen its customers report that there are carriers “serving other markets, who are using the embargo as an opportunity to increase prices”. 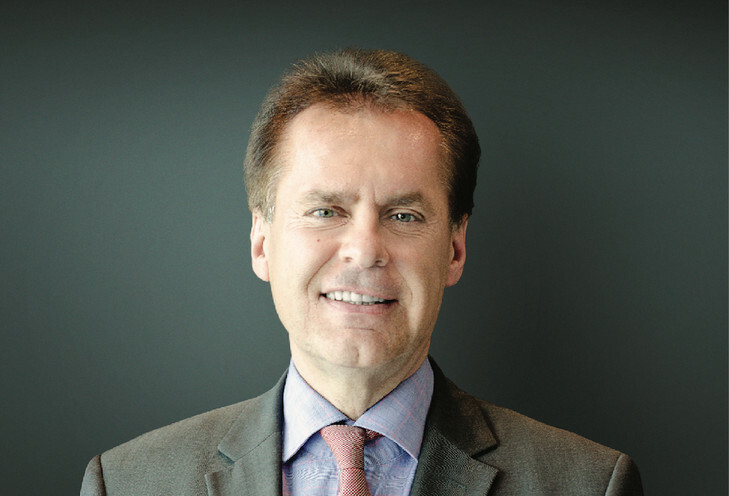 Qatar Airways’ chief officer cargo, Ulrich Ogiermann, has outlined the Middle East Gulf carrier’s airfreight response following the continuing trade and air embargo imposed by Saudi Arabia, the United Arab Emirates, Bahrain and Egypt. The embargo was put in place over Qatar’s alleged support for extremist groups, something vehemently denied by the country’s government. Ogiermann responded by email to a series of questions put to him by Air Cargo News (ACN). ACN: How has the blockade affected Qatar Airways Cargo (QR) operations? What are the greatest challenges and how did QR Cargo deal with the situation given the sudden announcement? Ogiermann: The illegal blockade imposed on the State of Qatar on June 5 did provide some early challenges. However, it has proven our resilience, not only for Qatar Airways Cargo but also for the airline and the country. We reacted swiftly to ensure minimum disruption to our schedule and services, prioritising our customers and the business and at the same time supporting the massive airlift of food imports into Doha. During this period, we received and handled an average of 15 freighters daily, in addition to our normal capacity of cargo services to 60 destinations around the world. The freighters each transported between 60 to 100 tonnes of relief and food supplies such as dairy, vegetables, fruits, eggs and fresh meat. ACN: Has QR Cargo been able to find sufficient capacity for these food charters, given your scheduled services to 60 freighter destinations? Ogiermann: Qatar Airways Cargo currently has 20 freighters in its fleet (12 B777F and eight A330F). With a timely growth in our Hong Kong freighter slot-portfolio (the single largest air cargo market in the world), we moved quickly from 17 B777F flights per week to 21 flights. Along with this, we started upgrading capacity into the key region of the Indian sub-continent and offering more charter services to the commercial market, ensuring that we preserved our overall share of the global air cargo market. At the same time, we witnessed a surge in the demand for air cargo capacity for perishable goods into Qatar from an average of 180 tonnes per day to 900 tonnes per day. Recognising the importance of preserving the integrity of our commercial schedule, Qatar Airways Cargo quickly sourced a range of aircraft from 3rd party providers comprising military C17s, B747Fs, A330F, A300Fs and Ilyushin aircraft, to fly dedicated charters bringing in supplies of fresh milk, yoghurt, fruits and vegetables. Our widebody passenger flights out of Australia and key Asian destinations such as Jakarta, Singapore, Bangkok, Denpasar Bali also provided sufficient capacity for perishable exports to the State of Qatar. This has ensured uninterrupted service. ACN: Have food imports into Qatar increased during this period? How does QR Cargo cope with the capacity of cargo into or transiting through Doha? Ogiermann: We handle an average of 150,000 tonnes of cargo that passes through Doha’s Hamad International Airport each month. In the month of June 2017, we have seen a 160% increase in cargo imports into Qatar, compared to June 2016. Managing such a precipitous increase in imports fully stress-tested Qatar Airways Cargo’s state-of-the-art investments, not just our $1bn, 55,000 sq m cargo facility that opened mid-2015, but also our two brand new facilities which opened this summer – our dedicated Climate Control Centre and Cargo Overflow structure, providing close to an additional 10,000 sq m of temperature-controlled handling space. Thankfully, we had planned well ahead for future commercial growth. So, these wise investments proved more than capable of accommodating the extra demand, serving grateful importers in record time and restocking the supermarket shelves with ample supplies of fresh produce overnight. ACN: What were the changes or plans imposed by the Qatar government and how is QR Cargo working with the government to help with the imports? Ogiermann: Immediately when the blockade was imposed, we were given the mandate to prioritise the airlift of food supplies for the country. We quickly reinforced our operations, flight schedules and staff rosters to manage the increased imports of food supplies and provide stability for the national food distribution channels. Since this time, structural changes to Qatar’s supply chain have taken place. With food inventory levels now fully restocked and the introduction of two key maritime shipping routes from Asia and Oman, demand for air cargo capacity has now returned to pre-crisis levels. While the majority of the nation’s imported supplies now come by ship, we continue to manage the national air cargo requirements using leased freighters, leaving our global commercial operations running at full capacity. In spite of an early adjustment period, our on-time-performance and ‘flown as planned’ results are consistently within the tenth percentile. Furthermore, most recently we were delighted to achieve the number one position for industry quality as recognised by IATA*. An interesting by-product of the illegal blockade is that many plans have been expedited. Such was the case with Qatar’s planned dairy industry, and QR Cargo’s role in bringing it about. Qatar has been actively investing in the agriculture and food sector through Hassad Food, Qatar’s premier investor in food and agri-business sectors. This is in line with Qatar’s National Vision 2030, food security goals, which are to increase the quality and quantity of crop production. As a key partner in the nation’s food security strategy, we have been appointed to transport 4,000 Holstein cows to facilitate the newest industry to be developed in the State of Qatar, a dairy industry. We have begun these livestock shipments on board more than 20 B777 charter freighters to Doha. This is the first time that Qatar has experienced an airlift of this magnitude to support the establishment of a new industry. *Based IATA’s Cargo iQ ranking for carriers AWBs reported at or above 90% of their network. ACN: Have cargo operations returned to normal? Update us on the situation as it stands currently. Ogiermann: The urgent need to secure Qatar’s food supplies and source the extra aircraft to service that need, required careful management to minimise disruption to our normal operating schedule. As a result, we largely maintained our normal operating schedule. Those customers who joined us in accommodating the adjustments, have seen our freighter fleet’s on-time-performance results return to business-as-usual levels and 97% of our schedule is operating as planned. We are truly humbled by the pledges of support from across our customer base. We attribute this loyalty not just to the effectiveness of our response but also to the contrasting approaches to pricing which took place immediately after the blockade was announced. Qatar Airways chose not to exploit our greater share of Doha capacity. However, customers are reporting that there are carriers serving other markets, who are using the embargo as an opportunity to increase prices. Thanks to Qatar Airways Cargo’s professional response to the crisis, our investments in ground-based infrastructure and our long-term attitude toward our customers, we continue to see major gains in our overall market share. Qatar Airways Cargo is the only Middle East carrier to grow market share in 2017 while both our competitors in the region have seen material declines**. 2017 is proving to be another high for Qatar Airways Cargo – we are seeing record volumes, revenues, yields and market shares. Underscoring the confidence in our industry position, we continue to make major long-term investment in our network and fleet expansion along with a multi-billion-dollar investment in a second cargo hub in Doha which will more than triple our handling capacity. **Based IATA’s Carrier Tracker in International FTKs for 2016 vs. YTD 2017.